We had our first substantial snowfall in Brooklyn this week. I am always impressed at how well the birds endure the cold winter weather; see how the sparrows on my fence puffed up their feathers for maximum insulation. Click to enlarge. I provided a breakfast buffet for the birds the next morning. 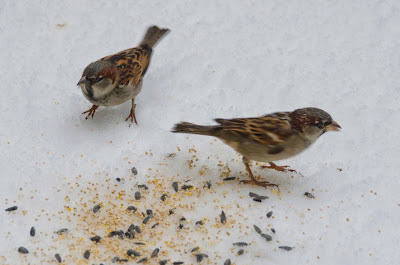 There are always European house sparrows like these around happy to accept a handout. This extra cold looking mourning dove had some seeds, too. 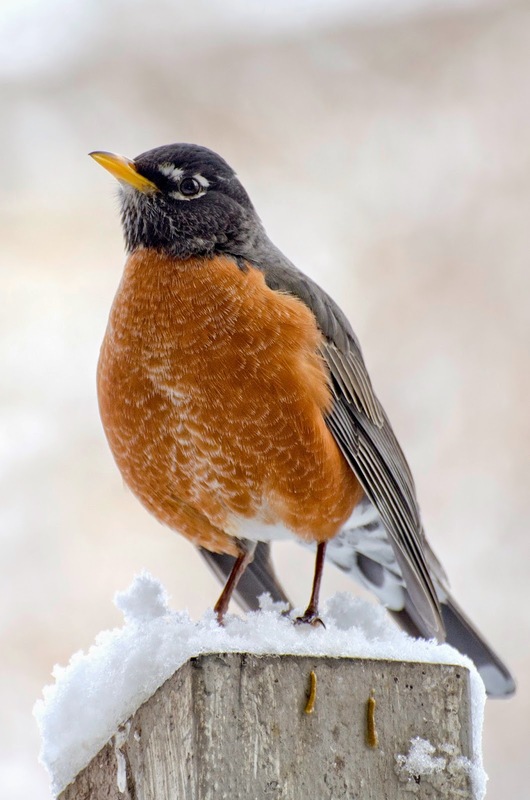 And my favorite -- a winter robin -- ate some raisins. We'll see more of this guy in the coming months. He looks great on a white winter background, doesn't he?